If the disease that led to her untimely death at 32 was exacerbated by anything, as a new-in-paperback biography suggests, Karen Carpenter suffered from deep-seated feelings of inferiority and loneliness. 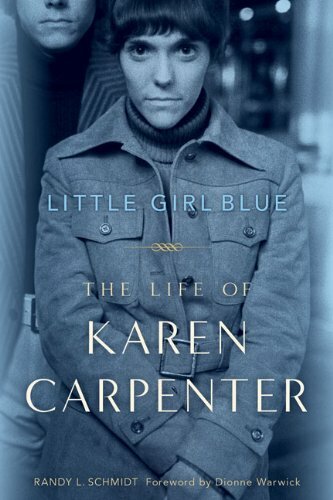 In Little Girl Blue: The Life of Karen Carpenter, author Randy L. Schmidt chronicles the often-troubled and ultimately tragic life of one of popular music’s most gifted voices. In one particularly telling passage, the author notes that when Carpenter started making records and touring with her older brother, Richard, she considered herself foremost a drummer, then a vocalist. At the time she was, if anything, a bit overweight. Yet by all accounts Carpenter seemed either content with her curves or indifferent to them altogether. However, as the duo’s success necessitated that she step into the spotlight—literally, as concert audiences had difficulty discerning the five-foot, four-inch singer behind her drums and cymbals—her self-esteem and health began to deteriorate. The author gives much consideration to Carpenter’s personal (mostly familial) relationships. While her father is rendered as being genial and supportive, her mother comes across as overbearing at best and, at worst, dictatorial. Richard Carpenter seems to fall somewhere between these two extremes, appearing as a musical perfectionist yet also a protective if, at times, condescending older brother. And yet even accounts of some rather heated arguments between the two can’t diminish the overriding impression that Richard loved his sister to no end. 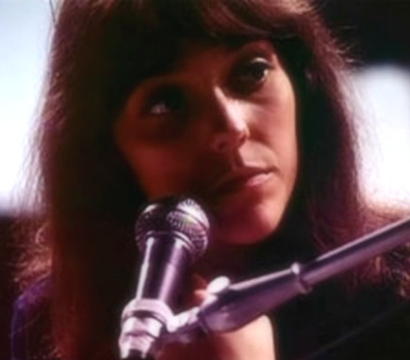 In depictions of the behavior and various tactics she resorted to in maintaining and masking her illness—and over time she acknowledged she was indeed contending with something more than low self-esteem and poor eating habits—Karen Carpenter never comes across as willfully self-destructive. Her actions were, it seems, a means to cope with circumstances in which she felt helpless or inadequate. Anorexia nervosa instilled in Carpenter a false sense of security, providing her a means of control, the only kind she believed she had. Though the author wrote Little Girl Blue without the Carpenter family’s participation or blessing, the narrative is nevertheless well-substantiated, insightful, and riveting to read. Karen Carpenter’s story, of course, remains heartbreakingly sad. It is a very sad book, but hard to put down. Karen was a fascinating woman.